There are so many options of slim but amusing capacity drives in the market. 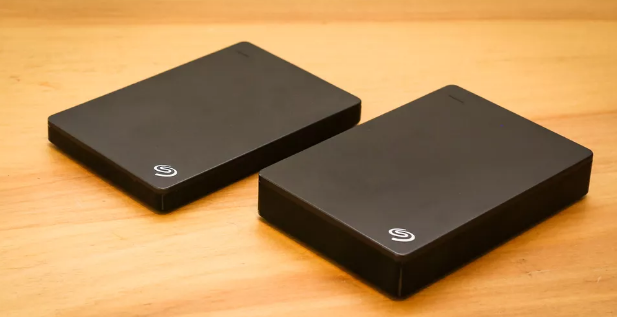 In the list of these slim and high-performance portable drives the Seagate Backup Plus Slim 2TB Portable External, Hard Drive is the one you can rely on. This backup plus drive comes with superb features, backup software, and almost all operating systems compatibility. Seagate Backup Plus Slim 2TB Portable External Hard Drive provides an easy way to protect and backup your precious files. It includes 1TB to 2TB of storage space to save your essential files and folders. It is developed with protective metal which makes it trusted and reliable Seagate’s portable drive. It is capable to be connected with both USB 3.0 and USB 2.0 port. But when connected with USB 3.0 port the performance would be maximized. It included a Seagate dashboard featuring a protect function which allows you to schedule your automatic backup. It can also backup data from the social network sites with the help of the Seagate dashboard. Whenever you post content on your social network account, the dashboard will backup your posted content automatically. This is a Seagate’s 5400rpm hard drive fixed in the black metal body. Including a 2TB backup plus slim portable hard drive, a user manual, USB 3.0 cable, and a warranty card in its box. It is available in 4 colors red, silver, black, and blue. The slim and thin design let you put this drive in your purse or your pocket and carry it wherever you want. Most of the latest laptops and desktop computer systems come with at least one 3.0 USB port. So, the drive has USB 3.0 interface. It is smooth to use backup plus slim portable drive on both operating systems and you don’t need to format it. You can just install NTFS driver and that’s all you need. Provide help to create customized backup plans. Seagate Dashboard for one-click backup. No power supply is needed. Can be used interchangeably on MAC and Windows operating systems without reformatting. Backup mobile devices and social networks automatically. Universal Storage Module is not supported. Seagate Backup Plus Slim 2TB Portable External Hard Drive is a thin and smart drive offering massive storage capacity. It has the ability to back up all the files from your laptop, phone, and social media sites. Overall, it is a highly portable and perfect pick for those who want to protect their social life circle because it backs up all the files from the device to the drive or cloud. It offers high capacity and fast transfer and works well than other related portable drives. If you like this please share it with your friends as well. This Seagate Backup Plus Slim Mac/PS4 Review covers everything about this hard drive.